Perspective is critical. Through the rain, the fog, the sun, whatever elements move to us in a given day, how we count ourselves among that is necessary in forming the experience. I direct our youngest program, Bear Camp, and at this age there comes a certain ferocity. When the waterfront is fun, it’s the greatest thing in existence; unmatchable. When the rain has been coming down all day, clothes are wet, and we’re still out playing hard in it, the thought of pushing through for another round of Star Wars can seem almost impossible. The world needs this ferocity and it also needs a rightly placed perspective. Thankfully, Rockmont is a place to grow into a greater perspective of opportunity that leads to growth. I think one of the greatest things that can influence our perspective is gratitude. Gratitude lends us to an openness in our interactions with others. It welcomes us to see beauty. It pulls us into the thrill of whatever is next. With gratitude, the possibility of seeing the good even as the rain beats down and soaks through even one’s rain jacket, is boundless. One is always on the threshold of excitement, love, challenge, friendship. 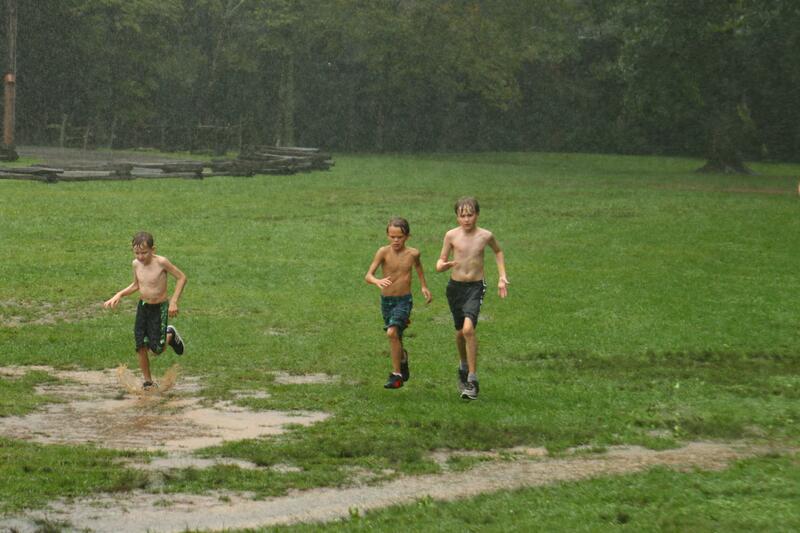 I’m grateful for work that lets boys be wild, stretching themselves and getting out into the rain. Without the willingness from everyone to go out and be no matter what the day holds, things would be a lot less interesting. I’m grateful for how a child’s perspective can inform us. Informing us in gratitude, joy, and God’s hope for us to get out and be among God’s people.